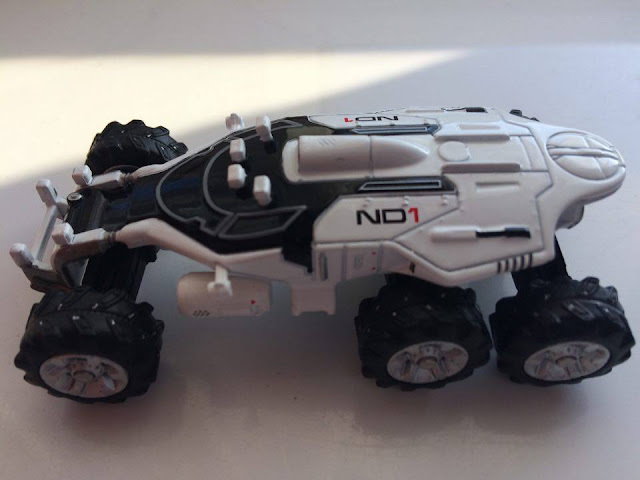 The Mini Mass Effect: Andromeda Nomad ND1 Diecast Car is somewhat on the pricey side when checking up on places to buy this from when I began typing this post up. Both GAME and Amazon in the UK are giving this car away with a copy of the game, with GAME having a game and car bundle priced up at £54.99, while Amazon UK have the car by itself priced at £9.99, and also the same game and car bundle only this time with a steelbook. Those across the pond can also buy the car by itself and also see it costing around $9.99 when looking around on places such as Amazon, Gamestop, and also the PDP store itself. I mean the big question is do you think that a toy diecast car is worth just under ten pounds/dollars? The last time I paid that for a car was when my son was going through his Disney's Cars stage, with some of those being hard to find and Ebay being the only place you could find them. Would I go into a store now and pick this for the price it is right now? That has to be a no for me, and I'm really enjoying Mass Effect at the moment too. With how easily these are being given out at the moment it's only a matter of time before they are in a bargain bucket somewhere for a quid or two, so maybe holding off for a while might be the best option. As for the car itself, yeah it's alright. It looks like the Nomad ND1 seen in the game, but being a diecast and not much to it, I find it hard to get even remotely excited about if I'm honest. There are also more expensive remote control ones available, but coming in under £200.00 it is only for those with more money than sense. Cool little toy, but not really worth the current cost. Now Pixel Pals, something I wanted a closer look at since seeing other reviewers cover them in recent weeks. 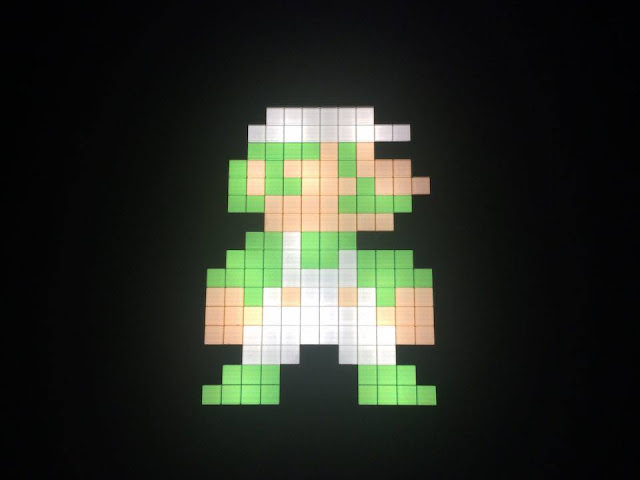 Pixel Pals are simply well-known gaming characters from a number of franchises with lights inside them, which in my case saw me having Mario, Luigi, and also Link in their 8-BIT Editions sent my way. 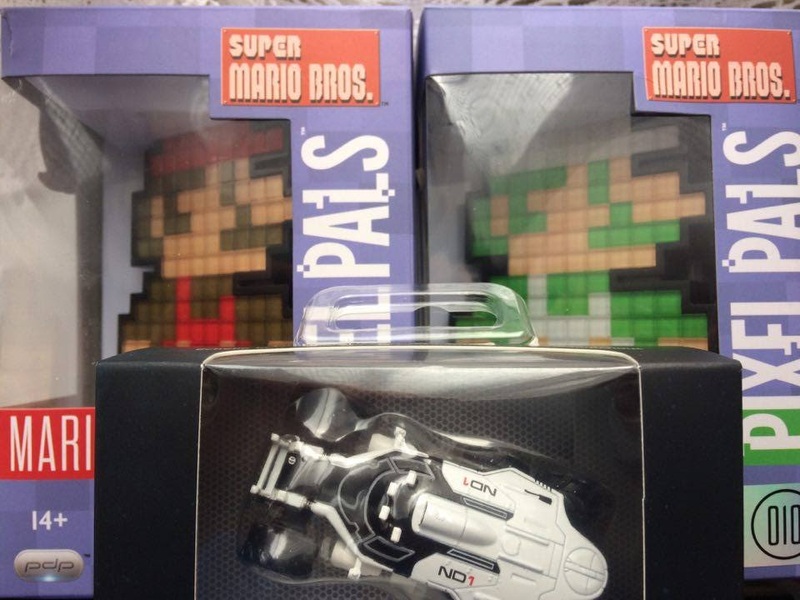 Looking around for links for you guys I found these 8-Bit Editions hard to come by too in the UK, with normal UK sites only listing older ones and most of them out of stock sadly. American brothers and Sisters, Amazon has your back. Even if that Link is wayyyyyy bloody expensive when I was typing this up. Linky here. Knowing these was on the way I wanted to unbox them with my two gaming kids, Because being old I knew they would be something they would enjoy more. Triple a batteries in hand we got to taking them carefully out of their basic packaging and giving them closer look. While not being that blown away when getting them out of the box, that all changed once the batteries went in to give each character a bright white light that shines through the coloured squares on the front of the character. I instantly had both of them asking if they could have them for their rooms which I of course had to do for a quiet life. This being said, I'm not sure about the safety as the box does give it a 14+ rating and also a warning of children needing adult supervision with it on the side of the box. Then again it is just a plastic box with two batteries in, so as long as you don't leave it on for hours I'm sure everything will be fine (don't quote me on that). The dark box shots do not do them justice, so hopefully the images with the power turned on that I've put in this post show them off to be the blooming gorgeous little gaming pieces that they are. After having these a few days now they have become an item that if I do see in my local GAME store now and it has a character I am fond of I will instantly buy it. For now these three lovable things have found a new home in the kids bedroom, with one having Mario and the other having Luigi. 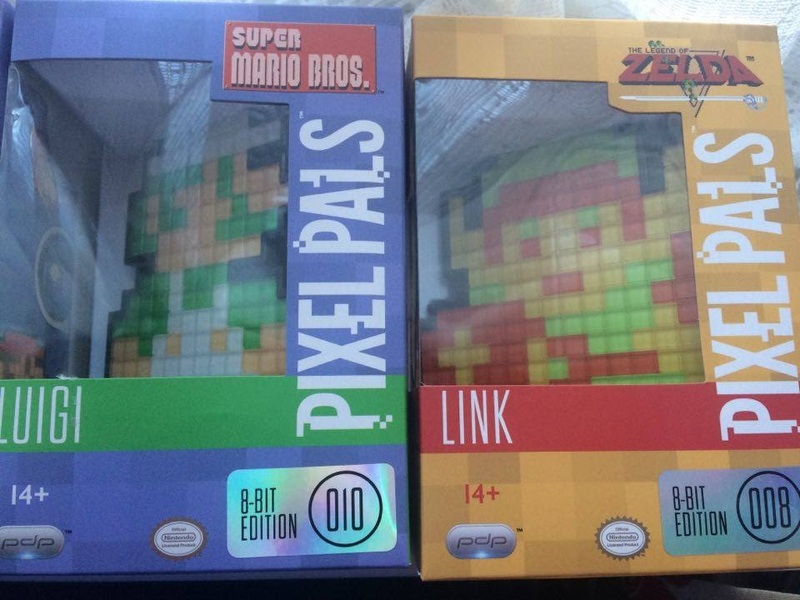 Link got a special home as I knew a Nintendo nut and I'm a bloody nice man. 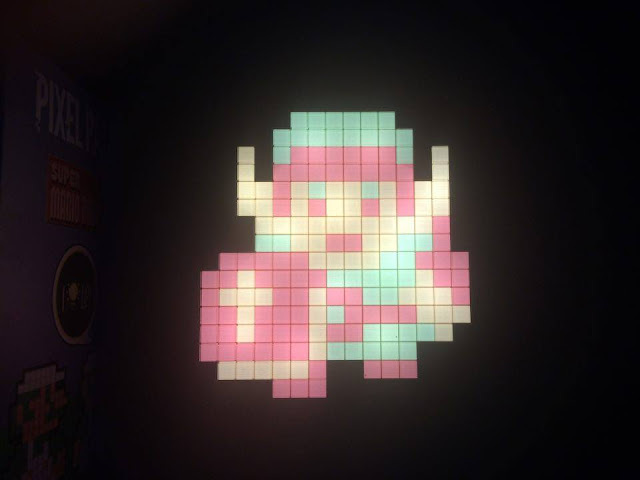 As for me, I will just wait until the kids forget/get bored of them and add them to my much dreamed about gaming man corner that has hardly had anything added to it for years. Worth hunting down on the above links if you love collecting things.